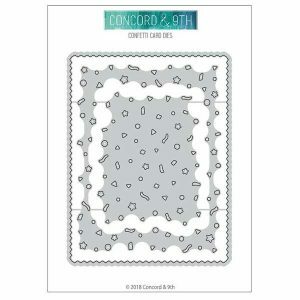 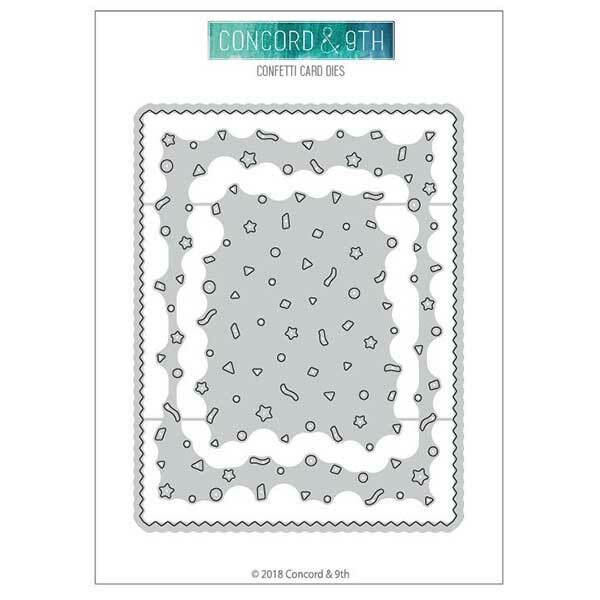 Confetti Card die set by Concord & 9th. 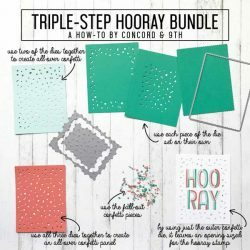 3 piece die set. 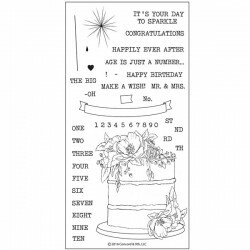 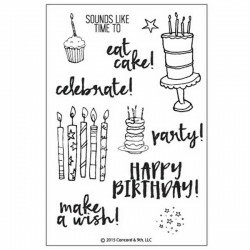 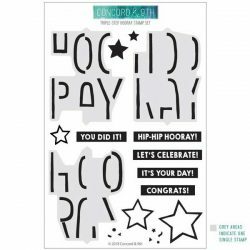 Coordinates with Triple-Step Hooray stamp set, and can also be used with many of our other products. 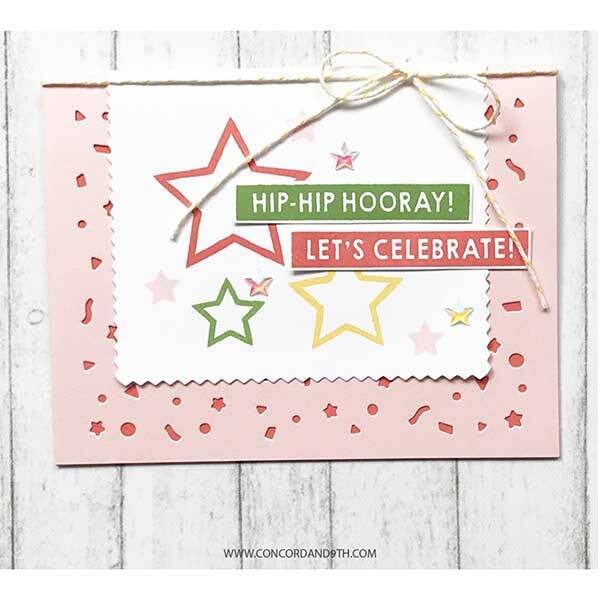 Create confetti on your card front as well as an outside pinked edge. 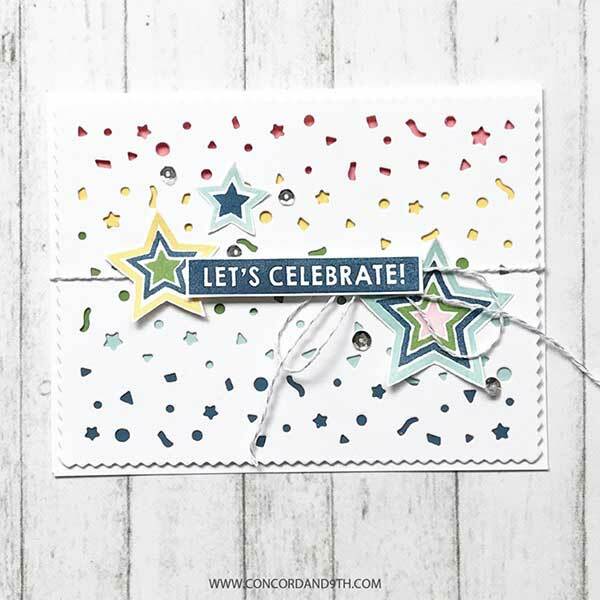 Use all 3 layers of the die together for a full confetti card front, or use them individually. 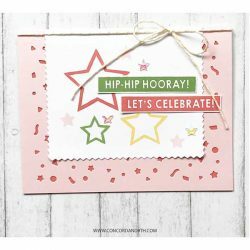 The largest die is great to use on any card front for a pinked edge. Layer it with the largest confetti piece to leave a blank spot in the middle to stamp on. 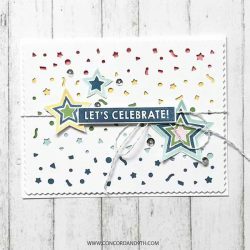 Use the middle piece on it’s own anywhere on your card front for confetti peek-thru’s.